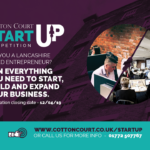 Scouts now bigger than ever in Lancashire!! 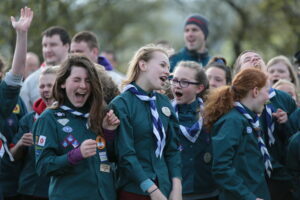 April 15, 2016 By Admin Comments Off on Scouts now bigger than ever in Lancashire!! West Lancashire Scouts are celebrating becoming bigger than they have ever been, after enjoying their 12th consecutive year of growth. After becoming the 8th largest Scout County in the UK in 2015, West Lancashire Scouts have continued to grow and now number 12,769 members in total, making them become bigger than at any point in a history which spans more than 100 years. The recently released census data shows that West Lancashire Scouts have grown in every one of their youth sections for girls and boys aged 6-25 years old. 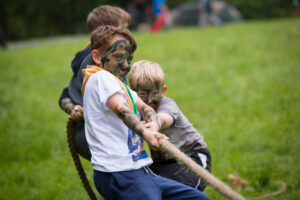 Over 9,500 young people are benefitting from Scouting in 154 Scout groups across West Lancashire which provide a varied programme of fun, challenge and adventure to support young people develop their social skills, make friends and enjoy new experiences together, with activities ranging from archery and camping to rock climbing and kayaking. The growth of Scouting is also benefiting communities across West Lancashire as Scouting has experienced nearly 10% growth in its teenage provision through Explorer Scouts and has recruited 183 new Young Leaders, aged 14-18, who volunteer their own time to have a positive impact on their communities as well as enjoying the Explorer Scouting programme. “I am super proud to see so many young people and adults learning new life skills, and achieving personal rewards through Scouting in the UK. I am excited to see Scout numbers continue to rise across the UK, especially the numbers of girls. What I’m most pleased about is that Scouts across the UK are putting their time in to helping their local communities. Through our A Million Hands campaign we are pledging one million hands to supporting four of the biggest social issues currently facing the UK and the wider world, but we can’t do it on our own. 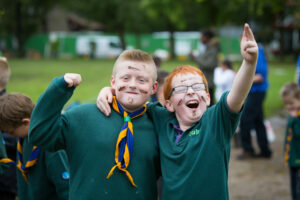 We want all young people to come and give Scouting a try and to get involved. This is how we can all play a vital role in shaping tomorrow’s world for the better. So what’s this all about? Take the lead was held this weekend by West Lancs Scouts to help Explorer Scouts like us learn new skills so they can take the lead in their Scouting! It was a fantastic weekend where we met new people, learnt useful new skills and got to karate chop our DESCom! Planning our own Beaver/Cub fun day has helped us grow in confidence as leaders and proved that you can do anything if you put your mind to it! On the Friday night after some exciting icebreakers we talked with some of the members of West Lancs Network about what it was all about. Network is the section after Explorers and it seems like a great opportunity! We are looking forward to when we are old enough to join, and hopefully the Network refresh will make Network even more exciting than it already is! and was called ‘Major event planning’. Ann-Marie started off by talking us though how she planned events and what sort of paperwork she used and what ‘skill sets’ you should look for when forming a team for an event. Then she gave us different scenarios about different events to plan. Towards the end of the session we played a game highlighting the difficulties of planning an event! It was stressful and hectic, but a great and funny experience! After the event planning session we had a session on leadership from our County Youth Commissioner, Ollie. It was a great chance to develop my leadership skills and we will use the points and examples Ollie talked about to do that. We also set ourselves objectives to improve our skills and put them to the test in the future! Some of the most important skills we learnt were to listen to people when leading; and to do what we can to develop the skills of those in our team too! After the Youth Shaped sessions we split into our Districts to plan an event! 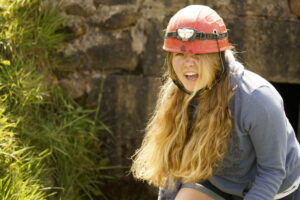 Our event in Fylde is a survival camp based on TV shows like ‘I’m a celebrity’ and ‘Lost’. 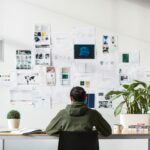 We spent time planning details like the budget, location and what the camp would include. We had fun planning this as it gave us the independence and skills to organise our own events that we wanted to do. We can now go back to our own units, and plan our event further to ensure it happens in the next two years .The skills we have learnt will also come in handy later in life if we ever need to run an event in the future. On the #takethelead weekend we planned a linking event between Scouts and Explorers to try and promote Explorers to the Scouts, called Linked-in. We thoroughly enjoyed planning our very own event! Blackpool doesn’t have one like it so we think it’s worthwhile. We can’t wait to get it going, and maybe carry it on every year. Planning this event has also opened our eyes to helping plan and lead other events. So why should you go on the next #takethelead? It’s a great way to meet new people and learn new skills; it’s full of information and really helpful tips to use for the future! We will all feel more confident when leading a group or event in the future. Overall the weekend was so fun and exciting, so I recommend it to anyone who wants to Take the Lead in West Lancs! 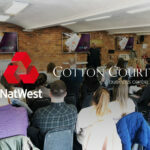 The next Take The Lead event is expected to be held on the weekend of 26-28th February! Keep checking Facebook for more details! 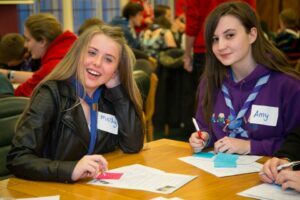 In mid-March West Lancs Scouts learnt that UK Youth Commissioner Hannah Kentish would be visiting the area on Wednesday 1st April & wanted to meet some young people in from the county. Through lots of hard and efficient work in a short space of time the county planned an event that meant over 50 young people from around the county, with every district represented, met at County Hall in Preston for an event inspired by national event #YouShape, which we called #WLShape. In one of their four key policies in our Strategic Plan, youth shaped scouting is an important priority, and therefore #WLShape was a great opportunity. It was an opportunity for young people from all around West Lancs to come together and share their views and ideas about scouting. It was an opportunity too for us as a County to get a snapshot of what young people think about scouting in West Lancs and to hear their ideas on what we hope to do in the next few years, whilst shaping our plans. 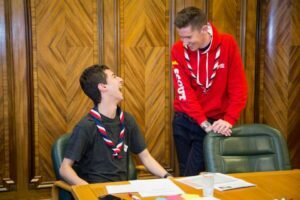 This means our plans for youth shaped scouting are youth shaped! #WLShape got everyone excited about youth shaped scouting. The enthusiasm of the young people during and after the event was incredible. 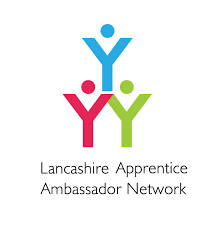 Now, through our Vision 2018 Youth Shaped plan completed in early May, through lessons learnt from experiences and by listening to young people in our county, we must maintain enthusiasm and continue to build on what we’ve started to make great things happen West Lancs. This is to enhance the scouting experience of our young people, and to ensure we can give Scouts in our county the very best start in life that they deserve.